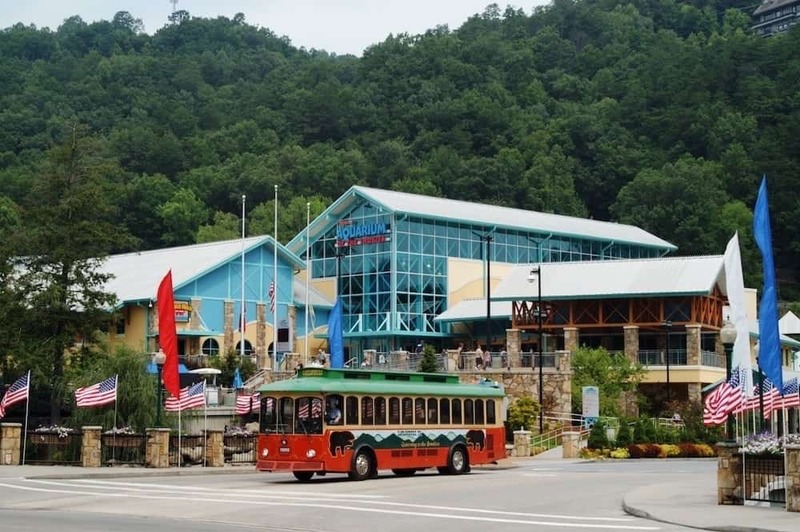 If you plan on taking a trip to Gatlinburg, Ripley’s Aquarium of the Smokies is a must-visit! Their interactive experiences and beautiful exhibits are sure to thrill people of all ages. To help you plan your trip, here are 6 reasons to visit Ripley’s Aquarium of the Smokies! Meet some adorable new friends when you participate in one of the aquarium’s interactive experiences. In Penguin Encounter, you can pet one of the playful penguins from the state-of-the-art indoor/outdoor habitat. See their African Penguin artists in action as they paint you a one-of-a-kind masterpiece to take home. You can also touch one of the stingrays as they glide by in the lagoon in Touch a Ray Bay. With so many beautiful sea creatures, you might be wondering what it takes for this aquarium to keep all of these animals happy and healthy. If you take a behind-the-scenes tour, you can find out for yourself! As a staff member guides you along the tour, you’ll get to see several life support rooms and the control center where all the water quality is monitored. You’ll also get the opportunity to see where the food is prepared for the animals. The fun continues when you add a sleepover to your adventure! After an exciting night including a dive show, scavenger hunt, and late night activity, you can drift off to sleep under the watchful eyes of the sharks. You can also find out what penguins do at night when you spend the night in the Penguin Playhouse! In the morning, you’ll even have a chance to meet them one-on-one. It’s easy to work up an appetite when you’re having so much fun! You and your family can enjoy a quick and delicious bite to eat at the Feeding Frenzy, as you overlook the Stingray Bay. The best part is that this eatery offers a wide range of menu items at affordable prices! For an unforgettable experience, watch one of the captivating Live Shows at Ripley’s Aquarium of the Smokies! You can watch divers clean and maintain the largest exhibit while being up close and personal with giant predators in Shark Lagoon Dive! You can also discover the world of coral reefs and learn about the many colorful fish that live there during the Coral Reef Dive. These amazing shows and others are waiting for you! After an exciting day at the aquarium, you can find the perfect souvenir to take home with you in the Cargo Hold Gift Shop. You will see a variety of marine items from around the world as well as the work of local artisans. These special keepsakes also make wonderful gifts for the sea creature enthusiasts in your life. Now that you know more about Ripley’s Aquarium of the Smokies, it’s time to start planning your trip! Be sure to check out our Gatlinburg cabin rentals, and find the perfect one for you next to all the fun. We look forward to seeing you at Parkside Cabin Rentals!